Your newborn baby will only be this tiny once in their life, and only for a matter of weeks. These short moments are priceless and irreplaceable, and for that reason, I want to ensure my photographs will bring you joy each and every time you look at them. 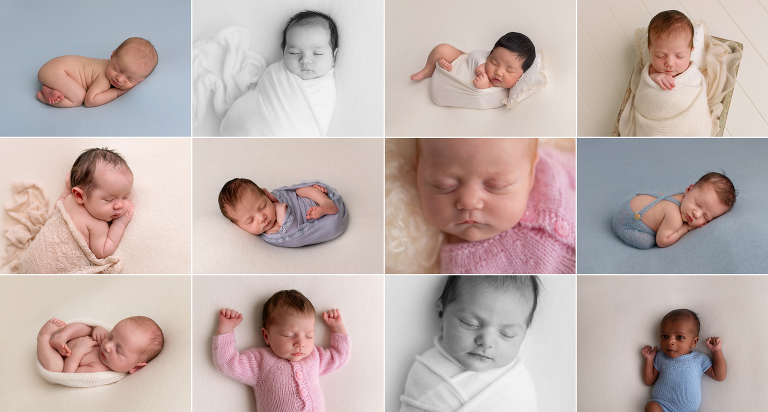 Newborn photography is a profession requiring confidence, experience and patience… but most importantly a natural ability to handle and settle your baby. I am fully registered and insured, fully vaccinated and have been trained how to pose newborn baby’s safely. Newborn sessions are best scheduled when baby is between 6 and 14 days of age as this is when newborns are at their sleepiest. It is best to book in during your pregnancy – I will mark your due date in my calendar then once baby arrives we can lock in a date. I always try to accomodate last minute enquiries so if your little one has already arrived and you are interested in a session I will do my very best to fit you in. Sessions are held in my studio in Woodhill, located within the Logan City shire. Everything for your baby is provided in the studio, all you need to bring is yourself and your baby! Newborn sessions are priced at $395 and include the session plus delivery of 20 high resolution images.